Self-Advocacy has tons of resources and information to make you a better self-advocate! Interested in finding a self-advocate group? 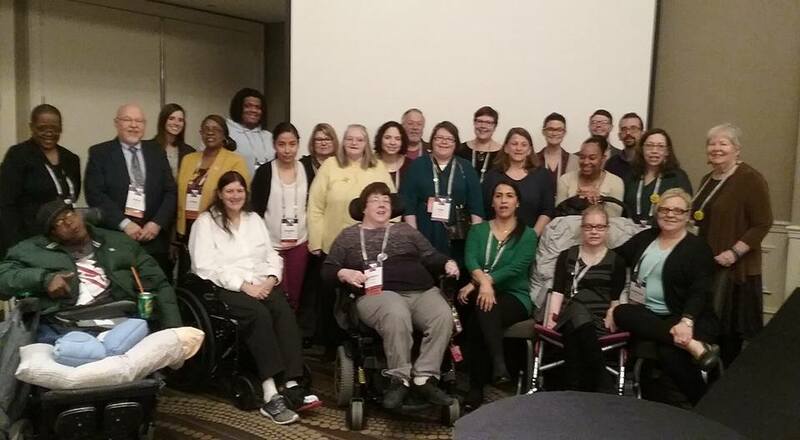 Check out the National Council of Self Advocates. You can find group listings, as well as plenty of useful information! Visit The Arc of Illinois website for memos, editorials, resources, etc. Click here to get legislator contact information. The Tele-Video Conference is held the second Tuesday of odd numbered months (Jan-Mar-May-Jul-Sep-Nov) from 3:00-4:30pm. You may participate in person at one of five sites or via phone "call-in" number at 217-545-6649.